It is hard to believe September is over and we are welcoming in the month of October. So much as happened on Eye Street. Hopefully your sons are settling into a routine and the freshman are feeling at home. The GMC has been busy! We have already had 5 Bake Sales, Back-to-School Night, the Gonzaga & Visitation Picnic, Conversations that Count and a wonderfully attended first GMC meeting. Our first meeting featured an update of the school from our President, Father Planning, an overview of our website from our Senior Director of Marketing and Communications, Mrs. Mary Clare Glover and a development awareness talk from our Vice President of Alumni and Advancement, Mr. David Dugan. Thank you to all of our speakers, your talks were captivating and informative. On September 17th our families once again enjoyed the annual tradition of the Gonzaga-Visitation Mass and Picnic. Thank you to Diane Tomb for helping the Visi team promote this event. On September 27, freshmen and their parents came together for an evening of education and dialogue focused on the Community of Concern booklet “A Parent’s Guide for the Prevention of Alcohol, Tobacco and Other Drug Use”. Thank you to Eden Brown Gaines and Celeste McGlaughlin for providing food and drinks for all attendees of the Conversations that Count. The Senior Parent College Admissions Night, hosted by our College Counselors on September 28th, was a great night where a wonderful panel of College Admissions Officers gave advice and answered our questions! A special thank you to our Senior Liaisons, Mary Goodyear and Barbara Mulligan for providing us with wonderful hospitality for the night. This year we have had fantastic Get Acquainted Parties and one is still yet to come! We extend our sincere thank you to our chairs, Maria Borjas and Gerry Gretschel, and to our generous host families. What a wonderful Gonzaga welcome we extended to our new families! Friday, October 6 was the first Faculty Treats of the year. Thank you to Maria Cindea and Kristen Kilguss and all the volunteers for providing and serving a fabulous breakfast for the faculty and staff. If you would like to help with the next one on November 3, sign up for Faculty Treats. Our next GMC meeting is the joint GMC/GFC meeting on Wednesday, October 18, in the Lower Commons at 6:30 pm. Our guest speakers are our Director of Campus Ministry, Mr. Stephen Szolosi, and our new Associate Director, Mr. David Bowles. 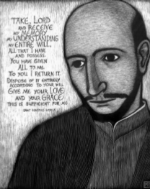 Come and learn more about Gonzaga’s retreats, christian service and sacramental life. This meeting will also be a great kick-off to Fall with a dinner of Chili, Cornbread, Salad, and Desserts. October 13 is the deadline for advertisements and donations for the Winter Wonderland gala. Do you want to thank a teacher, support a team, or congratulate your senior? We have pages available for you. Purchase an ad and we will help you with the graphics. 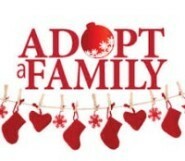 Donate an item and help us make it a great gala. While you are online, go ahead and purchase your ticket. This event will sell out; don’t miss the fun! We have a Gala Decorations Workshop on October 14th, from 11 a.m. to 2 p.m., and we would love your help! Volunteer and help the Decorations Committee prepare our Eye Street for a Spectacular Winter Wonderland. No experience or tools are necessary. We just ask that you bring your willingness to lend a hand and have some fun. The workshops are a fabulous way to meet new Gonzaga Moms and make lasting friendships. You are not required to stay for the entire time, stay as long as you can. Your sign up will give us an idea on how many enthusiastic volunteers to expect. All workshops will be held on the 3rd Floor of Dooley Hall (take the elevator by the Cafeteria or Campus Ministry). The Gala Invitation Workshop is October 23rd. We would love to have you join us for this fun workshop. The Gonzaga Gala will be here before we know it! Invitations will be ready to be stuffed, stamped and delivered. If you are able to spare an hour or 2 and help us assemble the invitations to be mailed out, we are very appreciative. We will meet in the conference room in Forte Hall at 9 am! Please click on the link and consider helping us out while making some new friends. Thank you all for joining and supporting the GMC. If you know of any friends or neighbors who have not yet joined, please invite them to come to a meeting this month. Check here for a list of Current GMC Members. Thank you to Gerry Gretschel, Membership Chair,for leading our membership drive. If you have any questions or suggestions to help with Membership, please contact Gerry at membership@gonzagamothers.org. 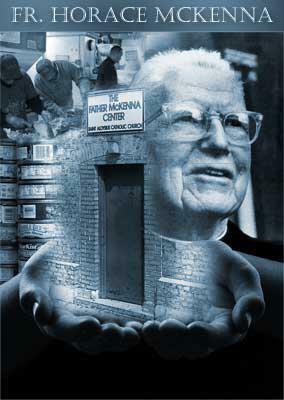 The GMC’s Bake Sale to benefit the McKenna Center Hypothermia Program is October 25th. Can you send in some baked goods or volunteer some time to help this great cause? Pies, cookies, doughnuts, oh my! What could be better than donating baked goods to support the homeless in our area through the McKenna Center Hypothermia Program. Proceeds from this bake sale go towards buying new pillows, blankets, and other support materials for this year's Hypothermia residents at the McKenna Center. Open from November 1 - March 31, the Hypothermia Program is designed to get participants into transitional or permanent housing by the end of the winter, or to provide an environment of stability for others to heal and focus on their journey. Sign up to send baked goods in with your son on Wednesday, October 25, or sign up to help sell baked goods during the day. The Mother's Club Bake Sale is a great way to see our boys in their "natural habitat!" The Parent Teacher Conferences are on October 26th. We could use your help! If you can set up, donate some food, replenish trays or clean up please click on the link for the Sign up Genius. Your help is greatly appreciated. The Junior and Senior Parent Financial Aid Night is Thursday, November 2nd at 7 p.m. in Sheehy Theater. Junior Parent College Counseling Night is Thursday, November 9th at 7 p.m. in the Sheehy Theater. Junior parents are invited to sign up for the College Counseling Remind.com text messaging for the class of 2019. It is a one-way communication about deadlines, upcoming events, etc. To join the College Counseling Class of 2019 text messaging please do the following: Text @kh27kd to the phone number 81010. The GMC provides hospitality for these events; so if you would like to assist, please contact the Committee Chairs. All Committee Chairs are listed in the back of the Gonzaga telephone directory and on the GMC website. Thank you to Hazel Lychak, our Communications Chair, for her organization and talents in putting together this and all of our GMC Communications! 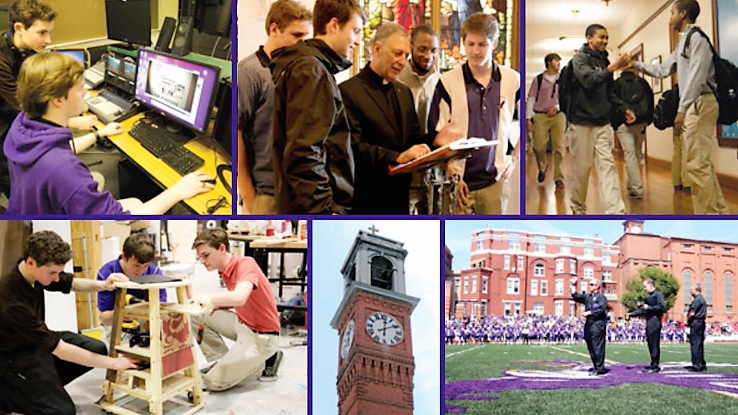 This month's E-newsletter is packed with information about upcoming events and many different opportunities to help our sons and our beloved Gonzaga community. Please contact the various chairs if you can help. I'm looking forward to seeing you at the Joint GMC/GFC Meeting on October 18. We can’t wait to see you on Eye Street! The Gonzaga Mothers Club provides the hospitality for the three Parent Teacher Conferences. We appreciate your help in donating food and your time to make each event a success! Pies, cookies, doughnuts, oh my! What could be better than donating baked goods to support the homeless in our area through the McKenna Center Hypothermia Program. Proceeds from this bake sale go towards buying new pillows, blankets, and other support materials for this year's Hypothermia residents at the McKenna Center. Open from November 1 - March 31, the Hypothermia Program is designed to get participants into transitional or permanent housing by the end of the winter, or to provide an environment of stability for others to heal and focus on their journey. 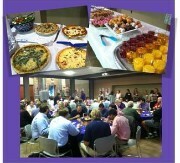 Our first Faculty Treats breakfast was fantastic! Thank you to the BEST volunteers! You do not have to attend every month. Items can be sent in with other volunteers. Oh, and there’s freshly brewed coffee…. 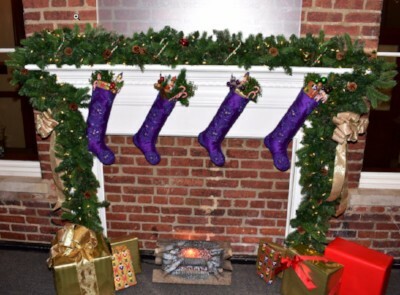 Gonzaga's Adopt a Family Program, organized through Campus Ministry, provides interested volunteers with a Christmas wish list from needy families in our community. Want to know what is happening on Eye Street?? It's a BIG Week for the Gala, Gonzaga's biggest social event and fundraiser of the year! The deadline for Sponsorships, Ads, and Donations are due on Friday, October 13th. Please take a look below at the many ways you can get involved to make this year's event another incredible success. We need a few items to complete our wonderful baskets for the Gala. Please click here to see the items needed. 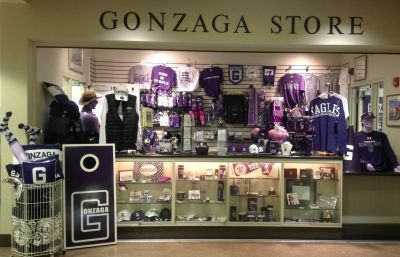 View Gonzaga’s Wish List to select an item to donate. Check out and purchase your item. Note: Choose the Ship To for our Gala Wishlist coordinator: "Linda DiLenge's Gift Registry Address" in Great Falls, VA.
Tell us what you’ve ordered! Please complete the item donation form so that we can place your item in the Gala program. We need items for both the silent and live auctions--everything from tickets to a Redskins game to the use of a beach house for the weekend. Click here for more. You can donate on behalf of your son's class. Click here to help underwrite an auction item in honor of your son. Cash donations are also greatly appreciated. Click here to give online now. Gala planning, and we need your help! Please note, the October 11th GMC Meeting is CANCELLED. Instead we will have our October Meeting with GFC on October 18th at 6:30pm in the Lower Commons. This message is only being sent to the current 2017-18 GMC Membership. make sure they are signed up for GMC Membership. I hope you and your sons are enjoying a great start to the 2017-2018 school year. There is already so much happening on Eye Street! I would like to extend a special thank you to our Back to School Night Chairs, Trish O’Malley and Wendy Philips. With the help of their committee they provided food and beverages for our parents during the evening of meetings. Thanks to Trish and Wendy, our GMC volunteers and Eagle's Wings parents who assisted that night. Bake Sales are scheduled for the year thanks to the hard work of Mary Knapp and the planning for the gala, “Winter Wonderland” is in full swing with the guidance of KimHowland and Maggie Sinnott Mejia. 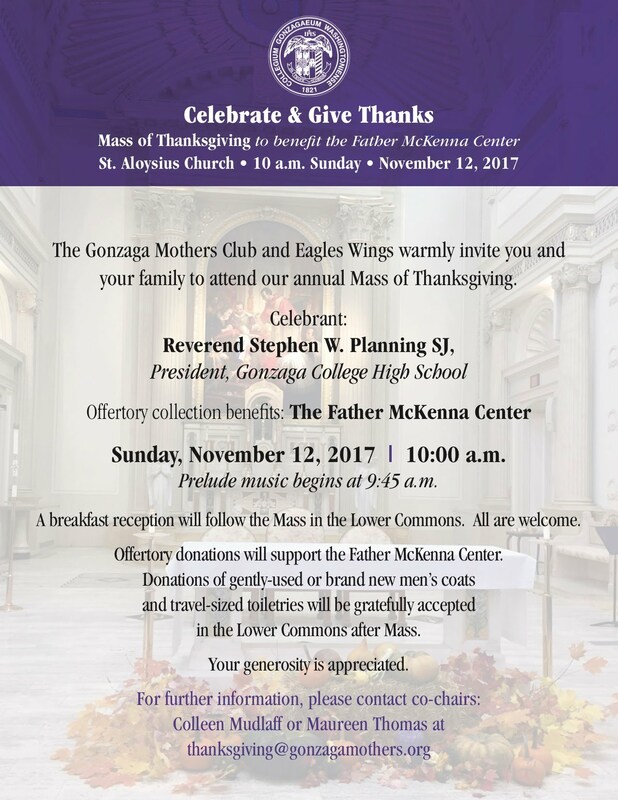 While each of these events are special and unique, they all highlight the GMC's mission to support the entire Gonzaga community of parents, faculty, staff, and students. We greatly appreciate your hard work, enthusiasm, and giving spirit. Thank you! Volunteer: We cannot do it without you and there are many ways to get involved! I hope that you will be able to come to campus for the first GMC General Membership meeting on Wednesday, September 13 in the Lower Commons at 6:30 pm for social time with a light dinner and 7:00 pm for the meeting start. Father Planning, our moderator, will be sharing some interesting and useful information about what's happening on Eye Street and Mr. David Dugan from the Development Office will speak. The Bookstore will be open for shopping and we have fun prizes for attendees, too. Since you are receiving this email, you have already joined the GMC -- thank you! Gerry Gretschel, our Membership Chair, has been doing a fabulous job with membership so far, but you can help by reminding your friends to renew their GMC membership each year. They can join online with the link below or by coming to the GMC meeting, so ask a friend to join us on September 13th -- they will not want to miss it! Please see below for details about upcoming GMC events and activities, contact the event Chairs if you are able to volunteer or need more information. And a big thank you to Hazel Lychak, our Communications Chair, for publishing this E-newsletter. No need to sign-up, come once or every month! 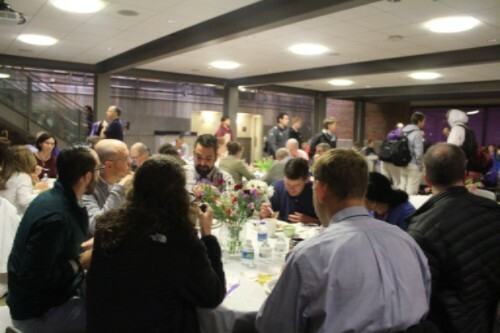 The GMC, in cooperation with the Headmaster's Office, works with host families to prepare guest lists and schedule dates for small get-togethers to welcome incoming freshman and transfer student families. If you are interested in assisting with this fun way to welcome new families to Gonzaga, the GMC has some easy and simple ideas to get you started. 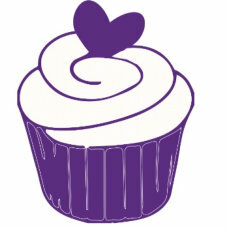 One of the best fundraisers, and loved by all the boys, is to host a bake sale for your team/club. If your team is interested in hosting a bake sale, please refer to the bake sale information guidelines here! The bookstore will be open for the GMC Meeting on Wednesday evening, 9/13 - you can also place an order online and pick it up on Wednesday! Looking for a fun way to get involved and meet the wonderful Gonzaga teachers and staff? Sign up to volunteer for the BEST morning of the month! Volunteer Moms, please join us as we prepare and serve a hot and homemade breakfast to our dedicated faculty and staff on the first Friday of each month. We arrive by 6:15 am in the Lower Commons. Service begins at 7:00 am. We are usually done serving and cleaning up by 9:00. You do not have to attend every month. Items can be sent in with other volunteers. It’s an awesome celebration of food and fellowship! Please contact Maria Cindea & Kristen Kilguss at facultytreats@gonzagamothers.org for more information.